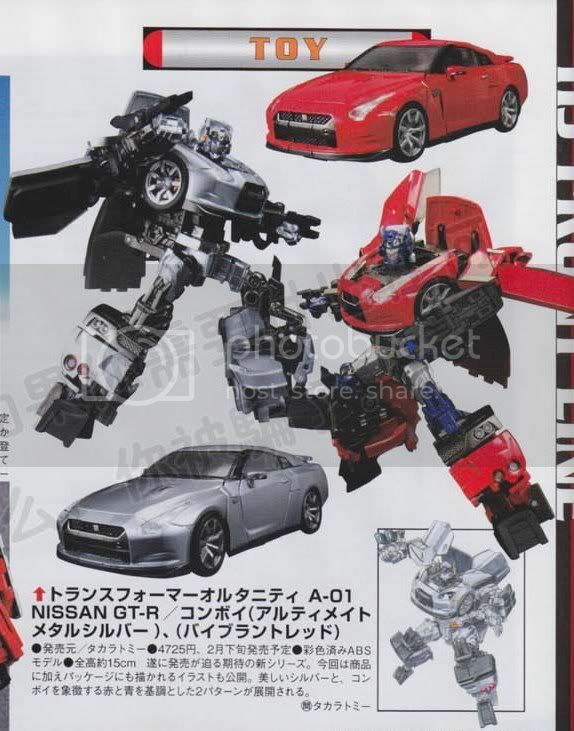 Takara-Tomy has came up with the transformer toys which uses the mean-machine of nissan GT-R as base for the ever hottest movie, Transformers. This is somehow different from the VW Beetle, or even Chevrolet Camaro which were used to film the Transformer 2, Revenge of the fallen. This entry was posted in Entertainment and tagged GT-R, Takara Tomy, Transformers. Bookmark the permalink.